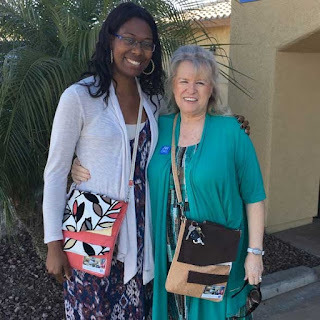 A functional and stylish service bag, the hands-free magazine and tablet tote was created for Jehovah’s Witnesses engaged in door-to-door ministry. The bag helps Jehovah’s Witnesses stay organized and look professional to ensure they leave a lasting impression. As a regular pioneer, I’m always looking for a good service bag. Another sister said she was trying to find a bag that would let her carry her essentials but not be really bulky. To encourage her to pioneer , I bought her one of the bags and between the two let her take the pick of the one she wanted. We both love them! As a parent, it’s purely natural to be concerned for your children. You want to ensure they get the best out of every Christian meeting. However, children, being infinitely curious and restless, easily lose concentration. Channeling their infinite curiosity and creative energy at Christian meetings will ensure they get the most out of meetings. The My Meeting Treasures Ministry Meeting Workbook Companion will do just that. 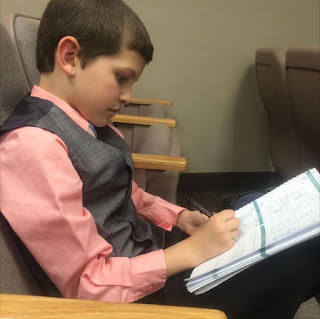 My 9-year old son using his Meeting Treasures notebook. It really helps him focus during the meeting and enjoy it much more. Thanks for the wonderful product! Recognizing the evolving role of technology in our preaching and teaching work, Ministry Ideaz offers handcrafted iPad and tablet holders that help Jehovah's Witnesses stay organized while out in service. Combining functionality with aesthetics, Ministry Ideaz iPad and tablet covers are crafted from durable, stylish leather or fabric and are available in an array of colors including brown, black, and pink. Designed by brothers for brothers, the iPad holders provide robust protection for tablets and smart devices, along with ample pockets for storing preaching necessities. The ‘Service Ready’ Tablet Tote is by far a favorite for the sister. For witnesses seeking even greater organization and storage capacity, all-in-one Preaching Folios can replace a briefcase and provide a convenient way to transport a tablet and literature. 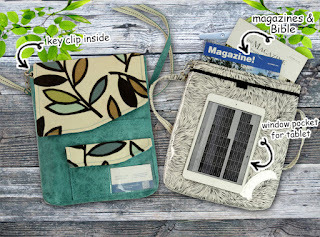 To view the full range of iPad and tablet covers, portfolio cases, and other accessories, visit www.ministryideaz.com. A family-owned and operated business based in Quito, Ecuador, Ministry Ideaz offers an extensive line of leather goods such as Bible and book covers, ministry supply bags, and bookmarks.